A Powerful, Much-Needed Salve for the Pirates; Perhaps a little Joy in Mudville? On Saturday, finally, Casey did not strike out. I know, Ernest Thayer waxed poetic about baseball, not football, but the sentiments he expressed some 130 years ago are not foreign to the Pirate Nation young and old alike. Casey at the Bat was Thayer’s only notable poem, but it sure strikes a chord all-too-familiar with ECU fans in recent seasons. It’s a good read. Better yet, let James Earl Jones read it to you. Good to see the smile. Been a rough ride for Coach Mo so far…happy for him and his players. It seems for the better part of two seasons, joy has eluded all at ECU, despite the grinding effort put in by these college kids and the mental, financial, and time-consuming efforts of the Pirate alumni and student body. It has been miserable. Misery has engendered many emotions that up to kick-off (and I am sure through to halftime) have been expressed in anger, apathy, despair, bewilderment…none of them good emotions. And, arguably, all valid to some degree (whatever degree is reasonable when talking about a game). And in the context of ECU sports, the criticism has been well-deserved. From the Chancellor’s seeming lack of understanding (early on) about the meaning of football at ECU, to the lesson in ineptitude delivered to us by our former athletics director to the seeming lost-in-space coaching and decision-making of our current head coach, there, indeed, has been no joy in Greenville since the second game of the 2016 season. Nothing but big whiffs of the bat. So it was, coming off the mistake-filled loss to North Carolina A&T, that Coach Mo and his staff backs to the wall, faced UNC-CH in front of a crowd that showed up en mass but probably more so out of habit and obligation than in anticipation of anything that would bring joy of any measure to them. And, on this day, Casey did not strike out. No, the pitch went yard in the biggest of ways. No, instead, the Pirates played a mistake-free, well-executed football game and whipped UNC-CH for the third-straight time. Look, I am in no way saying here that Coach Mo just undid what has been done to this program to date. Not by any measure, but in the events that unfolded on Saturday, at least for this fan, there was a glimmer of hope pulsing out of Greenville from the kick-off to the post-game. For two years, what has bothered me the most were not the losses, but rather the quality of the losses. Horribly bad beatings with no indications that the players or coaches even knew what was going on, what to do, or even how to address the myriad issues on display each game. But Saturday, the ECU team on the field looked ready. Looked organized. Looked informed. Looked managed. And, looked good. And, yes, it mattered very much that the opponent was UNC-CH. If Coach Mo wanted to stave off his undoing, he couldn’t have picked a better opponent to beat. In beating UNC, Coach Mo and his staff have provided a small salve to the gaping wound that is Pirate football. The team on the field against UNC-CH was not rattled by giving up points on the opening drive. Executed a well-balanced offensive game that had coherence in the play-calling…and in fact, demonstrated several times that plays were run to set up other plays (Pinnix doesn’t go 50 yards had Ahlers not ran the ball often and effectively in the first half) and when the OC saw a weakness to exploit, ECU didn’t give up attacking it because the first attempt failed (Brown’s circus catch in the end zone was the third try on that play). Defensively, the Pirates attacked – with our corners displaying the type of coverage that has long been absent from an ECU D and our defensive line causing problems in the backfield (though they did not register a sack). Moreover, we made meaningful adjustments both in-game and at half-time. Presumably, UNC-CH has better talent…they sure talk about it enough. But on Saturday, ECU was the better, faster, more organized and disciplined team. And, Coach Mo and his staff decisively out-coached the UNC-CH staff. You can take a lot away from Coach Mo, but one thing that cannot be taken away from him is his 2-0 record against UNC-CH and N.C. State and that is something that matters in Greenville. And, another thing he has a firm grasp on is his players’ love for him. I am sure that the players wanted to win for the student body, but I don’t think the fan base at large was heavy on their minds – they clearly felt the pain of the A&T loss and took the fanbase for foes not friends following that game. Don’t kid yourselves, they were playing for Coach Mo, love or hate him. And, the team out there that whipped UNC-CH is a capable one. 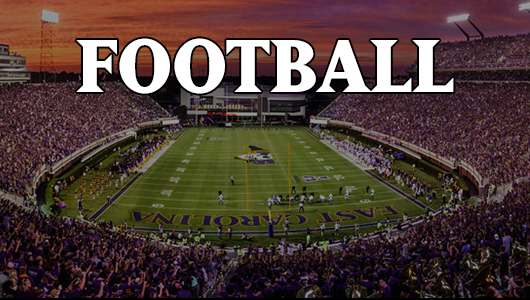 Now before you think or say, “whoa Nelly…don’t get too excited there…,” I would be remiss not to point out that I fully expect #13 Virginia Tech to lay the sand to ECU at Lane on Saturday. For me, though, what I will be looking at is the quality of the loss. Our players are familiar with the Hokies. They SHOULD know from history that ECU has always been capable of playing with the Hokies. For me, Coach Mo and his crew get victory treatment if they come away with a game where the Hokies had to fight to win against the Pirates. That is a story yet to be told, we will know the answer soon enough. But for now, joy in Greenville is very much deserved for our players and coaches. P.S. – Prayers still going out for Colby Gore…glad to hear he is doing good. Played a hell of a game on Saturday #26. P.S. 2 – Thinking of everyone down in eastern N.C. with Florence bearing down. Hope everyone comes through o.k. This is spot on. It’s always been about the quality of the effort; how organized, competitive and hungry they were (or weren’t). So far, with the exception of this Saturday, Coach Mo’s ECU teams have seemed poorly prepared and ill equipped for the task at hand. That said, it’s nothing personal. I sincerely hope we’ve turned a corner and the team can rattle off a few wins here. Nothing would make me happier than for Mo to win back the fanbase by turning things around. Go Pirates! Hello Ed…I expect us to be out-classed in Blacksburg but if we are simply beaten by a better team in a game where we play sound football, I will be pleased. I would love to see Coach Mo turn hero here. Thanks for reading and dropping a comment bcp74. I’m right there with you on the Blackwell hire. I also sincerely hope the program took a step forward. I am hoping for a solid performance this weekend weather permitting. I don’t expect to win but can find progress in a quality loss. I have taken the position that this season will be a 12-part test for Coach Mo and his staff after the disappointment of the last two seasons. So far I would say they have earned a D- and an A+. It was exceedingly joyful watching the Pirates defeat UNC on Sat. They played hard, showed a lot of emotion, executed in the red zone, played great defense and looked well coached. The play calling was not baffling, the RB rotation made sense and the players were in the right place at the right time. The best thing that could happen is for Coach Mo to turn this program around and show that he is the man for the job. He is recruiting well, he looks to finally have hired the right guys as assistant coaches and he is really good as the face of the program. I hope we take this win and build on it so at the end of the season there is a consensus among Pirate fans that Coach Mo is doing a good job and will remain head coach at ECU. We still need to see more wins and a consistent competitive effort when we can’t secure the W. So, color me joyful and hopeful. Agree word for word ToTheHilt…I like the 12 part approach. I also share the hope he turns it around for good. At the very least he is learning what it is like to be a Pirate! Cheers and be safe if you are in the Carolinas.